Brazil transplant Frederico De Souza moved to Mendoza and cemented his passion for wine. Brazilian sommelier Frederico De Souza works for Ladmadrid winery. Initially moving to Argentina to accompany his mother who was taking up a position at the Brazilian consulate, eight years on and Brasilia transplant Frederico De Souza is an international sommelier who has immersed himself in the world of wine. 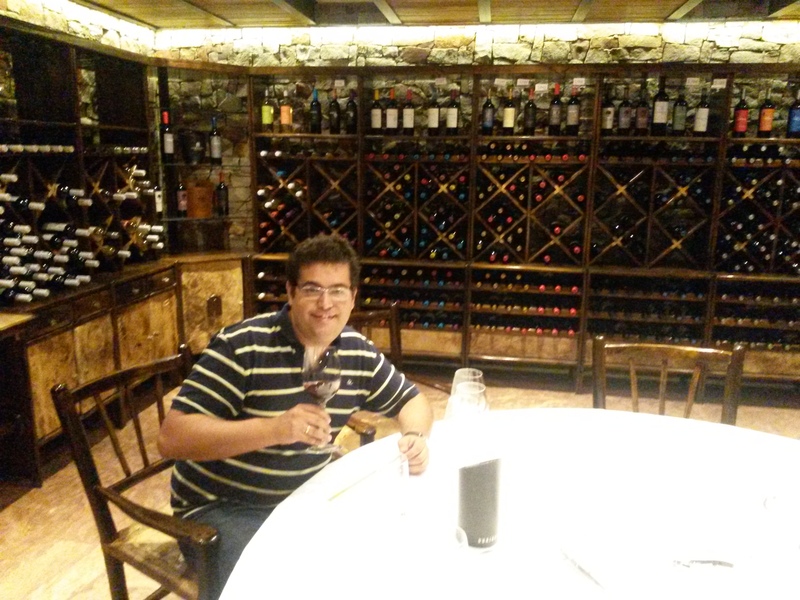 Upping roots to Mendoza opened plenty of doors for the enophile, as he explains. “My interest in wine stemmed from when I’d go shopping with my mother and I was always intrigued by the labels and wines from France, Italy and Argentina on the supermarket shelves. I was really interested in learning more more about the different zones in the world. “Some friends were studying enology and we started talking about wine. That’s when the urge to learn something new clicked on and so I started studying to qualify as a sommelier, taking the two-year degree in Mendoza. Once qualifying as a sommelier, Frederico threw himself into working in Mendoza’s wine industry, and has dealt in tastings, marketing and exports over the years. He says: “First I worked as a sommelier at Familia Zuccardi’s Casa del Visitante and I was there for four years. That was a very good experience for me as I learned so much from a practical point of view and how to answer all the thousands of questions that exist about wine! That was the place where I learnt to record information that I will never forget! Coming from Brazil’s structured capital city to laidback Mendoza was quite the change for trilingual Frederico, but he has grasped the cultural differences such as preparing mate and taking a siesta with both hands. Frederico says: “Brasilia is very organized and planned out, and everyone who lives there is the child or grandchild of someone who was sent to work there. There’s a large mixture of people from all around the country and there isn’t a consolidated identity as such – my parents are from Rio de Janeiro, for example – so it’s the new generation that lives there. “Although Argentina and Brazil are neighbouring countries, there are lots of differences. In Mendoza, people take a siesta from 1.30pm to 4.30pm, carry on working until 8 o’ clock then eat dinner 10pm or 11pm and I wasn’t used to that in the beginning. “But when I started to become more involved in the society and I wanted to meet my girlfriend to eat at 8pm, for example, she would always want to meet at 10pm so I had to learn how to adapt to these different habits! Give his passion for the sacred grape, Frederico says he enjoys visiting other wineries in his spare time. “My life is very involved in wine, both professionally and personally, so I like to visit other bodegas, sample their wares and see other concepts. I try and drink wine every day and always have an asado with wine, and I love Malbec though I also love more complex blends. It depends on the day – that’s why I have to try lots to know which one I want on a particular day! “I also love getting together with friends to have asado. I didn’t know how to make it before but now I do, and I’ll also prepare a picada or mate. Those are things that are very integrated in society that I have adapted to. Here in Mendoza we make an asado with wood, so it has to burn for a long time. Churrasco in Brazil needs to be turned over time and again and it’s cooked by the flames, but here the asado cooks on its own. While Frederico was fortunate enough to have his mother and brother around for the first few years, he’s now on his own, besides his girlfriend and her family.